John Hitch is a staff writer at New Equipment Digest, and he covers manufacturing technology and trends. John often reviews products and services. 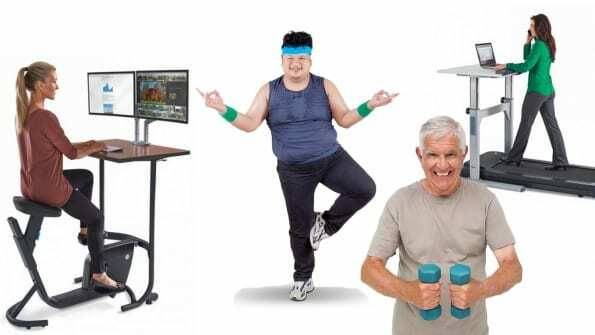 In an article published in EHS Today’s January issue in which Hitch tested a treadmill desk (pictured in this slideshow), he wrote, “The unforeseen outcome from testing the treadmill is that I finally found time to get moving again and I feel like keeping it up. I spent a few hours on the treadmill, skipping chips and pop and hydrating with water, and in the end, I felt better. Hitch created this slideshow to showcase that treadmill and to offer other workplace options for staying fit. Some are easy. Some are more difficult. And some are nearly impossible. But it gives you a good idea of what is trending in terms of workplace health and wellness.